She's Fantastic: Magic the Gathering - NISSA REVANE! Magic the Gathering - NISSA REVANE! 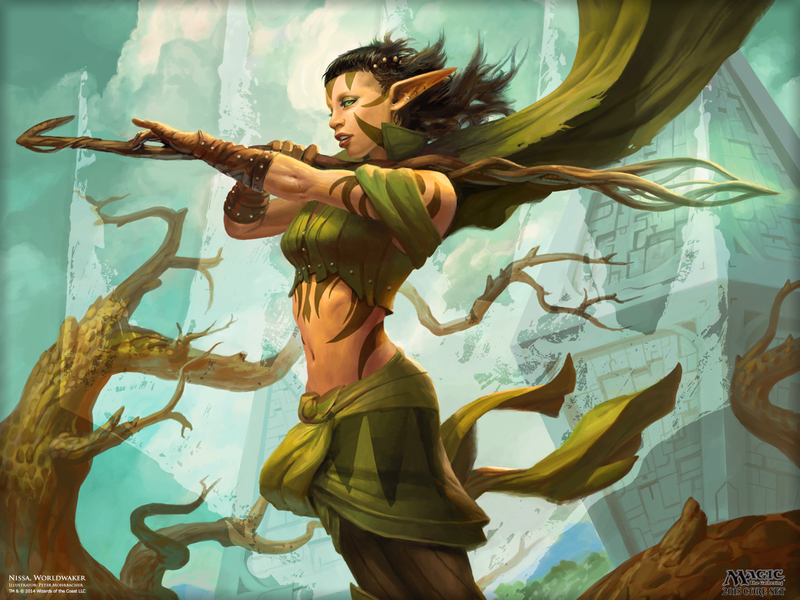 Hot on the heels of yesterday's Liliana Vess review comes the elven planeswalker Nissa Revane. 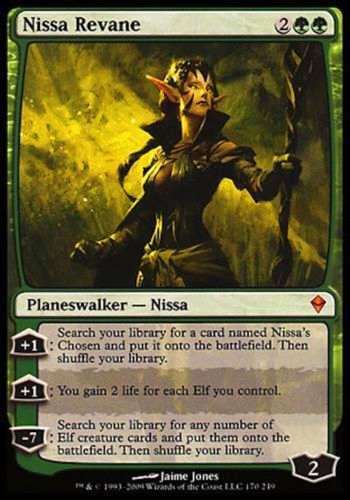 Nissa has been featured on four Magic the Gathering cards over the years and referenced in an additional six. As I mentioned yesterday, this trend of character development in MtG is totally new to me, but I'm impressed. My favorite thing about this character (aside from her penchant for green magic.. and green clothes.. and green eyes) is the fact that she reminds me a lot of my favorite Magic card from my youth; Earthbind. 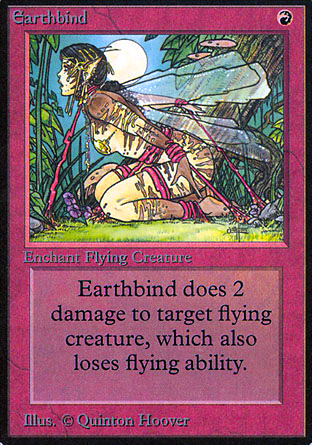 If Nissa had fairy wings, she'd be a doppelganger for the lovely creature on the Earthbind card. Funko's Legacy Collections are showing the potential to be a major powerhouse in the action figure world. With the amazing number of cool licenses in their POP line, I can't wait to see if the same variety surfaces in the Legacy Collection. I have dreams of Dark Crystal and Labyrinth figures! Someday.. someday. Let's check out Nissa in detail below! Overall, Nissa has a much duller appearance than the other two MtG Funko ladies. I think a lot of this has to do with her eyes. If they were a little smaller she'd look less doe-eyed and more formidable. 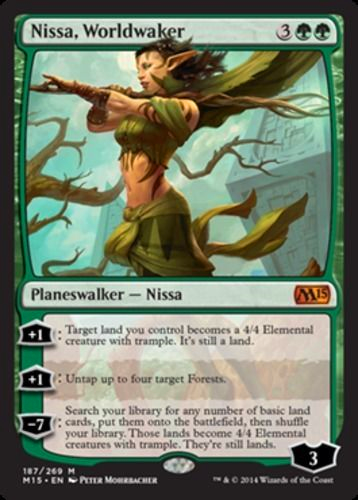 Nissa comes with an amazing wooden staff. I love this accessory! Here are a few images of Nissa from Magic cards and promotional art. Here is that Earthbind card I mentioned above. She did lose quite a bit of detail, but she is still nice looking. Not as nice as the other two. I preferred the more dynamic hair of the prototype. Wow i never noticed the difference in hair! I just looked at my own pics from Toy Fair. You're totally right the original was way better. I wonder why they changed it. I can't wait for series 02. If this line picks up steam it may very well me the thing that fills in the void for me after MOTUC ends. I just picked up Nissa tonight at Target. I don't know what the case pack out is, but they had one Nissa, three Chandras, and two Ajanis which seemed kind of odd. Nissa is every bit as good a figure as advertised. I may end up with the full set before it's all said and done. They fit in beautifully with the other 6"-7" figures in my collection. Yes I am obsessed with these figures. I can't wait until series 2 is announced. Hopefully it's before Toy Fair because I can't wait that long.